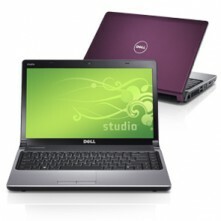 Creative IT is a DELL® laptop repair specialist based in the central part of London, UK. We can provide complete DELL laptop repair solutions for all kinds of DELL notebook problems, which have proven impossible for many other companies in the same field. Through our repair service, we can help you operate your DELL notebook properly and in the most cost-efficient manner. At Creative IT, we service and repair all models and series of DELL laptops that include DELL Inspiron, DELL Vostro, DELL Latitude, DELL Studio, DELL Precision and DELL XPS models, based on a two hour response time in and around London. We specialize in same day notebook repair and upgrade services. So, our customers can enjoy our prompt and fast turnaround repair services. For all our DELL laptop repair services, first we identify the exact problem. Then we perform a detailed analysis regarding the nature of repair and finally carry out necessary repairs, which include repairing and replacement of parts, and installation procedures. Our DELL laptop repair services are carried out by professionals who have considerable years of experience in London DELL laptop and DELL notebook repair service. They can skillfully perform diagnostics on DELL notebooks and peripheral components to troubleshoot and repair equipment down to the component level. The major parts for which they provide repair and replacement services are LCD, inverter, motherboard, USB ports, RAM Slot, audio socket, ethernet socket and backlight. We also perform notebook compatibility testing; CMOS battery recharging and replacement; mouse touch connector pad repairs; refitting and replacement of DVD/DVD-RW, PCMCIA Slot, and HDD caddy; hard disk or hardware /card upgrade; hard disk back up/ data recovery and virus removal. Please browse through www.creativeit.tv to find helpful information about our DELL laptop repair and various laptop computer repair services extended by Creative IT. Or, you may contact us at 020 7237 6805 or e-mail us at info@creativeit.tv for your DELL notebook repair in London.